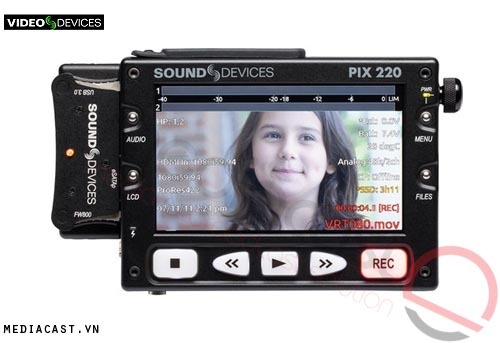 The Sound Devices PIX 220 Video Recorder provides the ability of QuickTime recording for video cameras with HDMI outputs. It employs Apple ProRes or Avid DNxHD formats to record videos which offer good picture quality and processing efficiency. It stores recorded videos onto compact flash cards or removable 2.5” solid-state hard drives with UDF format and the recorded videos can be accessed on systems operating on both Windows and Mac OS. 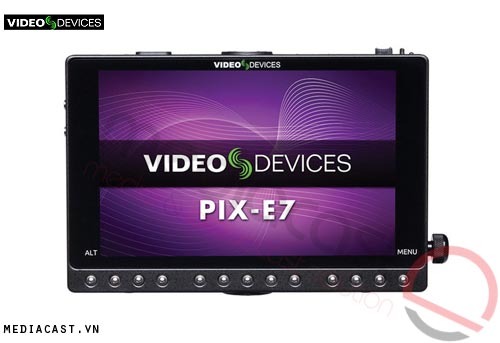 In addition, the PIX 220 records videos which are ideal for editorial workflows such as on-the-fly color grading, video processing, etc. Supporting HDMI v1.3 input signals up to 1080i/p, the recorder provides simultaneous HDMI outputs. 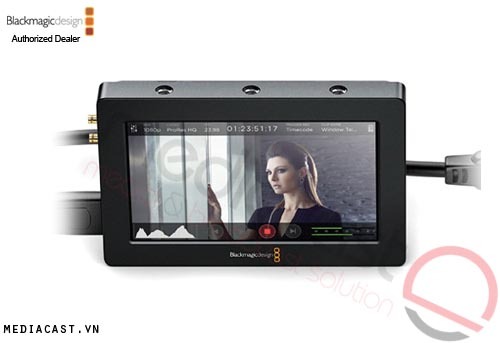 It is ideal for use with smaller format high-definition cameras which do not require time code workflows. Based on 7-series digital audio recorders, the recorder features high-bandwidth inputs that are mic/line switchable and include limiters, high-pass filters, and 48V phantom power for high quality audio with low-noise. 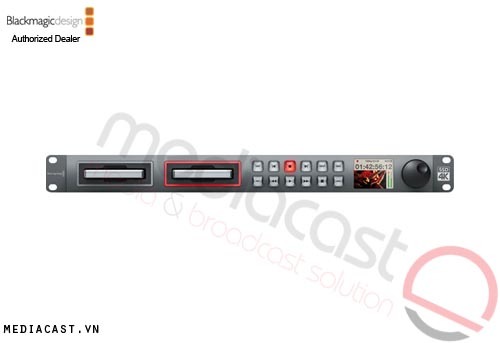 Featuring hardware-based video scalers, the recorder facilitates real-time conversion among video formats. 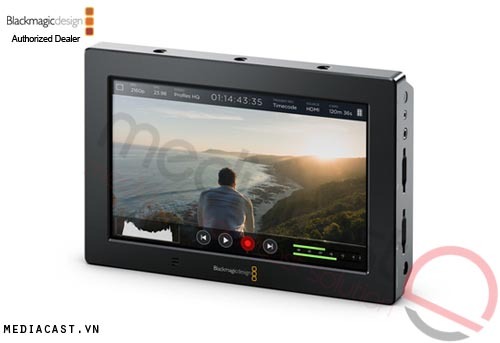 Supporting conversion between interlaced and progressive, it allows frame rate conversion of videos formats with no loss in quality and 3:2 pull down removal to record 24p from 60i signals. It features large, illuminated controls which make record and play functions easy to access. 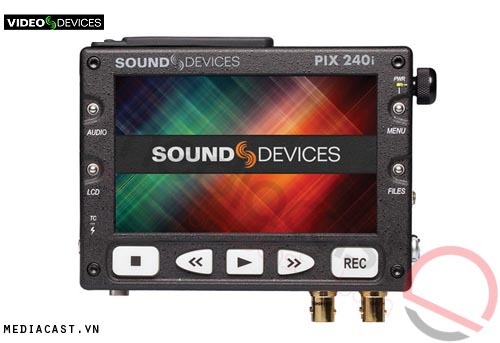 Using a side panel rotary control and 4 front-panel buttons, the PIX 220 allows quick access to various menu options such as selection between embedded HDMI, or balanced audio, format selection while conversion, etc. 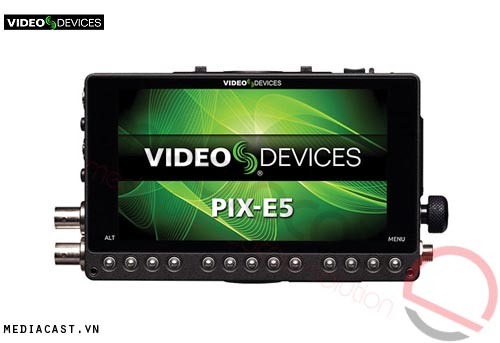 The PIX 220 includes a 5” LCD display which displays images with 800 x 480 resolution and provides immediate confirmation of recording, playback, audio metering, and setup menu selections. 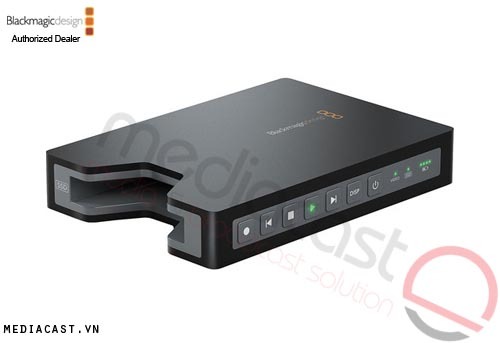 It supports input audio source selection between embedded HDMI, or balanced audio and features a LANC connector for connection with a LANC controller for control over start and record options. 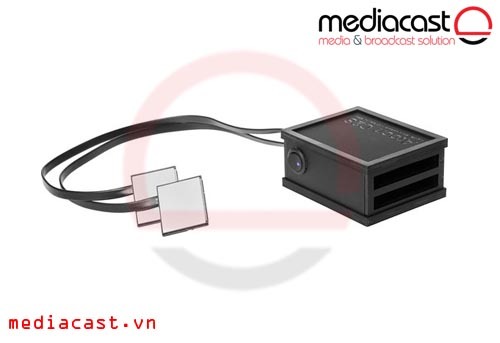 Featuring FireWire 800 and USB 3.0 (USB 2.0 backward-compatible) connectors, the PIC-Caddy also includes an eSATAp connection which offers drive powering and 3 Gbps transfer rate over a single cable. Built using light weight, metalized, molded carbon fiber chassis, the recorder is suitable for outdoor use, and with an advanced thermal design, it keeps the unit cool in extreme environments. It can be powered using an external DC power (10-18 V) or 2 Sony L-type batteries, and also acts as a charger for the battery inserted, when the recorder is not in use and plugged into an external supply. 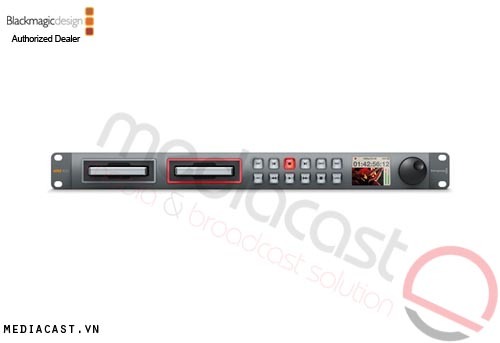 It is compatible with an external audio mixer or digital audio recorders which extends the flexibility of the recorder's on-board inputs and enhances audio input/output control. Note: Media (Flash card & SSD) is not included in the box but is a required accessory. Records videos which are ideal for editorial workflows such as on-the-fly color grading, video processing, etc. 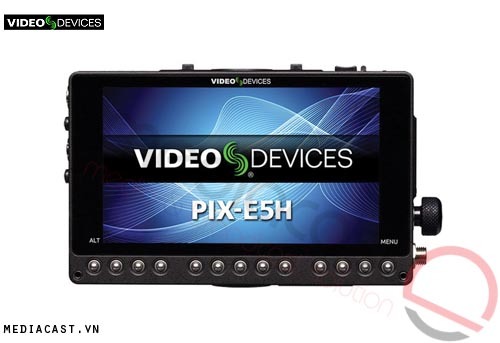 Allows quick access to various menu options such as selection between embedded HDMI, or balanced audio, format selection while conversion, etc. Box Dimensions (LxWxH) 15.9 x 10.9 x 5.2"